The eastern plains of Jeju are a good spot to greet the sunrise. The red light of dawn that pours out of the darkness, floats over the plain, finally spreading into the world. This is a good time of the day to take a walk in the warm morning light. As you walk along the dirt paths past the fields of Pyeongdae-ri Village, breathe in the clean air and fragrance of the crops and natural vegetation. This volcanic panorama may appear harsh and unforgiving, but the environment is fertile and its inhabitants love it dearly. The verdant spirit of the forest is laid out before us, encircling Hallasan Mountain. If you travel through the smaller mountain roads, foregoing the main highways, you can discover the quiet solitude of Buddhist temples. These forested refuges are bathed in the green light and natural sounds of the forest. At Hyomyeongsa Temple, you can pass through “Heaven’s Gate”, a place so beautiful that it seems like heaven and earth have met. This natural treasure is remarkably — some might say refreshingly — devoid of crowds. How about taking time out from your busy journey and doing some leisurely, luxury brand shopping? The JTO’s Jungmun Duty Free Shop and Shinhwa World Duty Free Shop are open all year round and are available to both Koreans and non-Korean travellers. 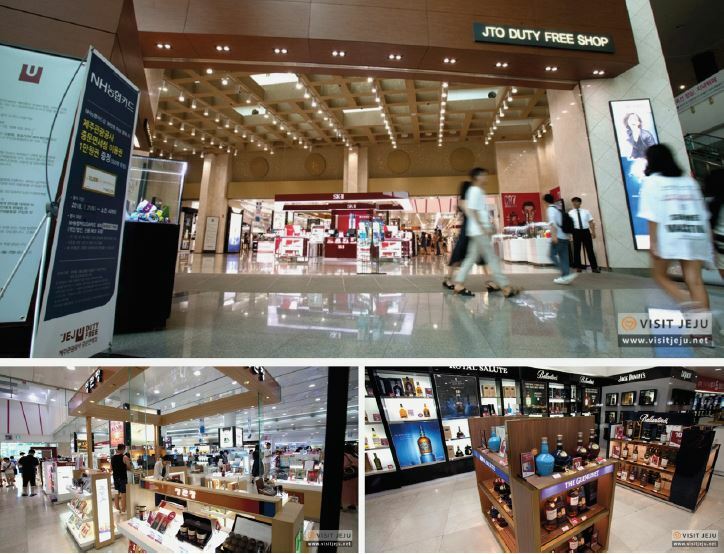 If you are flying on a domestic flights, you can shop at the JTO’s Jungmun Duty Free Shop located in the ICC Jeju International Convention Center of the Jungmun Tourist Complex. If you are going overseas, you can find various products at the Duty Free Shop in Shinhwa World. Every month the JTO’s Duty Free Shops offer interesting promotions, but in September, with the traditional harvest festival of Chuseok approaching, there are extra special offers for you! You’ve probably heard about Jeju’s famously sweet and delicious citrus variety called Hallabong. 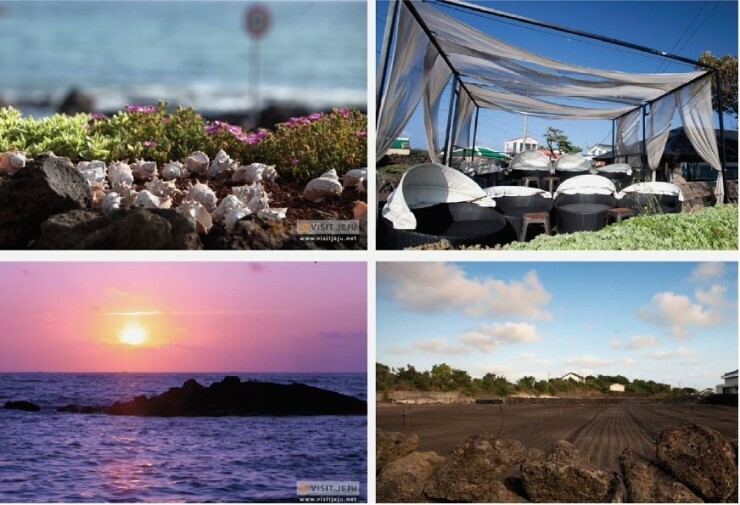 It was specifically cultivated over many years to make the most of the volcanic soil and abundant sunshine of Jeju Island. Recently, intrepid chefs have taken to finding new and innovative ways to use this ubiquitous fruit as a healthy and delicious ingredient in their creations. How about trying tempura with a hint of refreshing citrus? Or a citrus millet puff snack? You can try your hand at making such things in a citrus experience program… either picking the fruit from the trees or cooking with it, or both! If you’re in the mood to witness and photograph the sunset on Jeju Island, you will be spoiled for choice. But here’s a recommendation that you might not have heard of before: Mundoji Oreum. It’s about a 15-minute climb along Jeju Olle walking trail 14-1. Once there you have a clear view of a number of magnificent volcanic cones — specifically Dol Oreum, Dang Oreum, and Majung Oreum — that frame the panorama there. Below stretches the green forest of Jeoji Gotjawal. It’s a crisp, clear, and cool spot from which to capture that perfect dusk shot. Do not be sorry to bid the autumn sky a good night. The stars will just be coming out to greet you. 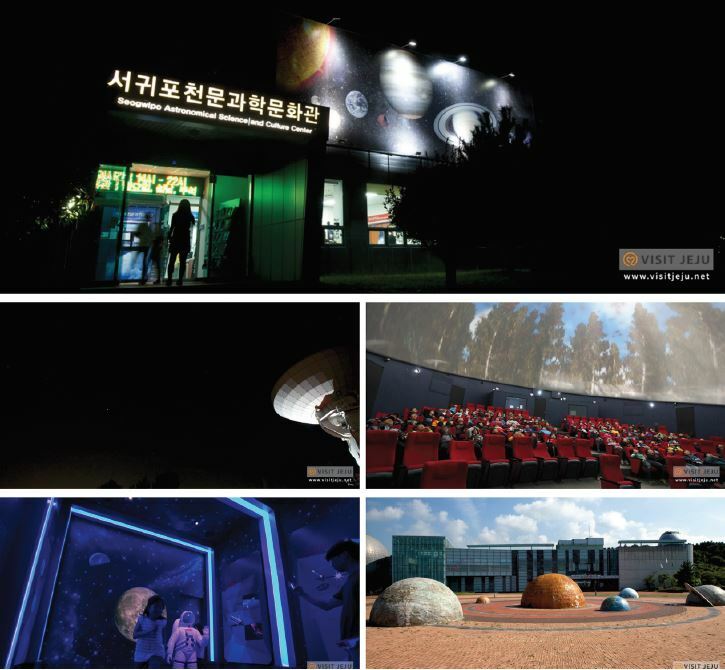 At the Seogwipo Astronomical Science and Cultural Center and the Starlight Nuri Park in Jeju City, you can easily observe the star-studded night sky. Learn more about the constellations and astronomy in their exhibition rooms and the astronomical projection rooms. Telescopes are also available for use on clear nights. The Seogwipo Astronomical Science and Culture Center will hold the “Seogwipo Science Culture Festival” on September 1st. This is an opportunity to visit various science experience booths and get hands-on with science, including science quizzes and rocket launch experiments. 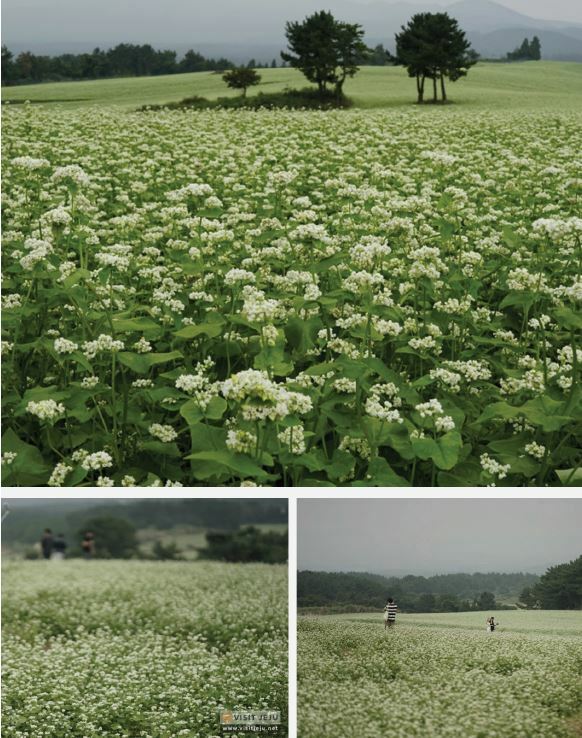 Peacefully flowing fields of buckwheat plants grow in large fields around Jeju in autumn. The blossoms look like white caps of the ocean, flowing in the wind as they do. It’s such a ubiquitous Jeju sight that there’s even a saying among fishermen here that “the sea is foaming like buckwheat.” Jeju is the largest producer of buckwheat in Korea. 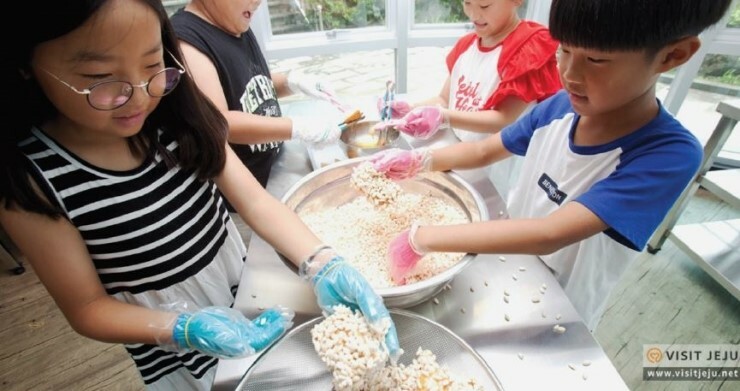 The plant grows well in the harsh island conditions, and thus it has found its way into traditional Jeju cuisine, particularly in pheasant buckwheat noodle soup and buckwheat pancake, or bingddeok. You can see this for yourself at the spectacular 99-hectare buckwheat field in the Ora-dong neighborhood of Jeju City. In September a number of local Eco Party events are scheduled around the island. On Sept. 1, for example, there will be an event at Sogil-ri Village, on the 9th at Harye-ri Village, the 12th at Hannam-ri Village, and on the 29th at Jeoji-ri Village. 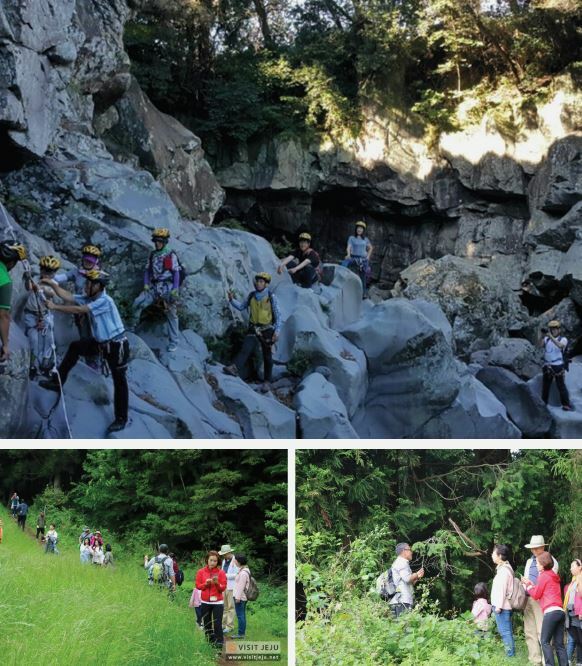 Walking through and exploring with guided tours the original Jeju forest of the Gotjawal is a way to learn more about the history and culture of each village and their local ecosystems. You do have to reserve in advance, so perhaps ask a Korean friend to help or if you’re a traveller, contact the JTO’s Tourist Information Center at 064-740-6000 to get more information. 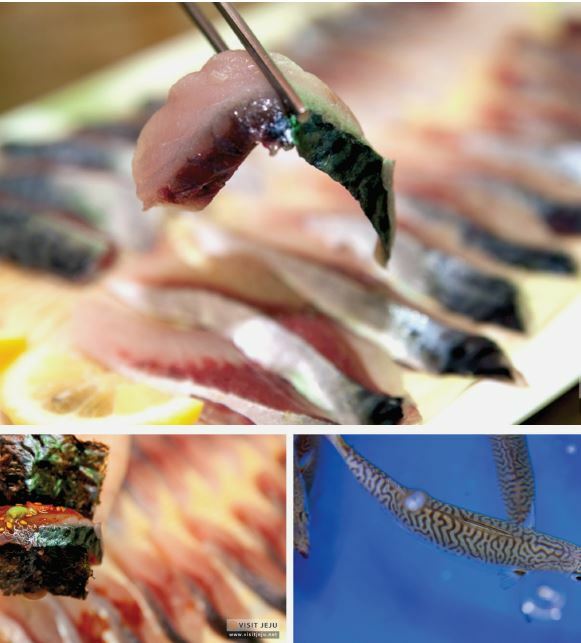 Fresh mackerel caught around Jeju Island during the autumn season is particularly good. Its flavor is stunning and every bite melts in your mouth. On the province’s outlying island of Chujado, this fish is even used in a hangover soup and as an ingredient in healthy rice gruel. These culinary ideas have spread to Jeju Island as well. A popular restaurant in the city called Seongmi Sikdang has served such dishes for over 11 years, so you can try it for yourself!